Meet Wahoo. 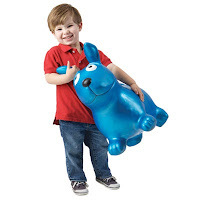 He is the coolest, bouncy puppy you've ever seen. Aunt DW knows what will be fun for little boys. After all, she has two boys of her own. She got one of these for the cowboys, the superheroes and her boys. It was wild puppy riding fun at our Christmas gathering. If you remember, we live above Grammy and Pop. They are in the downstairs "apartment" and we are on the main level. Anywho, I can only imagine what it sounds like down there when Wahoo is out. Cathunk, Cathunk, Cathunk!!!! This morning, Bubba, Wubba and I were having a snow ball fight in the barn corral. Daisy and Huckleberry kept trying to get in on the fun. As you know, Daisy is our naughty dog. She kept knocking the boys down and aggravating them. That's when I pelted Daisy with a snowball. I said, "Bubba, I got Daisy with a snowball!!!" Welcome, Snow!! When it came in enough quantity to possibly provide a little fun, Pop insisted on purchasing some sleds before we gathered for our family Christmas gathering...Way to go, Pop! Not everyone from Four Sisters Farm could make the trek up to the hill; but those of us who did had so much fun! The boys were fearless...they made a run down the hill before we could lay out any ground rules (like wait for other people to be out of the way before you go). Pop is hanging onto the reigns for a down-hill safety check before Bub, Southern Gentleman, and Bubba took off again! Lou Lou and Pretty Princess were ready for fun. Farm Chick and EJ snuggle up for a ride. Pop and Wubba teamed up! Pop had to go on a reconnaissance snow angel mission on the other side of the hill when the Southern Gentleman, Bubba, and Wubba took a break from sledding. rolling...and rolling...and rolling... She laughed all the way down and only pretended to be defeated by the hill for our photo shoot. Thanks, Pop for the idea and the sleds...let's do again really soon! Pop and Grammy moved from South Carolina to Kansas and are happily adjusting to farm life. Doc changed jobs and now has a long commute but more family time which DW and their family are happy about. EJ, Farm Chick and the Cowboys (aka Bubba and Wubba) made room in the farm house for Pop and Grammy. PhoJo, Rock Star, Superman, and Spiderman welcomed Super Girl into their home. Pretty Princess has healed from her broken leg and she and Romeo are going through all the trials and tribulations (so far) as they work toward their spring 2010 wedding. Apart from God, we ARE nothing of value and we HAVE nothing of value. The Christmas Season brings us once again to the recognition that Christ CHOSE to come and save us. He is our reason for being and we find our purpose in Him alone. Our prayer is that you know the fullness of Christ and the joy that comes with knowing Him as Lord and Savior. That ONE change in the life of a person brings about unspeakable peace and joy that no other change can bring. We love you and hope all the joy of the season is yours...no matter what your circumstances are right now...we have the hope of eternal life that began as a baby in a manger and that hope is what we build our lives on at Four Sisters Farm. On a recent car ride, EJ noticed how close I sit to the wheel when I drive. EJ: "Why don't you scoot back a little?" Me: "If I did I couldn't reach the pedals." EJ: "Well, grow your stubs." Me: "If you wanted a long legged woman you married the wrong gal. Instead you will have to settle for pure perfection." Not JUST a Grammy.... SUPER GRAMMY. She even plays secret agents until she's exhausted... and then plays more. She is a hero to me, my sisters, our husbands and especially our kids. Thank you for taking care of us grammy. We love you more than we can say. She is sweetness and light. Oh, yeah...she cries (but only a little), requires feeding and diaper changing (of course), and keeps her parents up during the night (but not excessively)...she is an incredibly good natured baby. Our little Super Girl (or "Gril" as her Super Hero big brothers say) is wonderful. Her entire family is smitten by her and you have to wait your turn to snuggle her. The oldest and wisest Super Hero is a natural at this big brother business. He is genuinely concerned and interested in the new baby "gril" at their house. 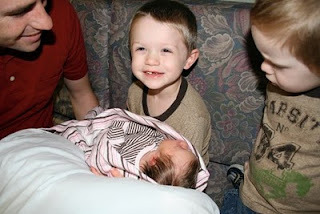 His mom and dad did a great job of preparing him before she was born and he takes his job as big brother seriously and wants to do everything just right. He was talking to his mom at bed time today and asked if she fed him and snuggled him and took care of him like she does the new baby. 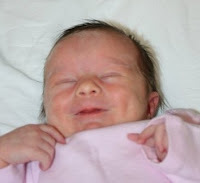 She assured him that she did the same things for him and that she understands having a new baby sister requires some changes in the way things go at their house. Just in case there was any doubt about his motives, he matter-of-factly let his mom know that he is "trying to have good manners." The two year old Super Hero is VERY verbal already and a tad bit opinionated about things. He takes everything in and then expresses what he thinks. When he and the three year old Super Hero met Super Girl at the hospital, they were so excited to hold her...they climbed up on the couch and their mommy put a pillow on the lap of the oldest sibling before gently placing baby sister on it. Not to be left out of anything good, he grabbed another pillow and proclaimed "I hold him! I hold him!" (He's used to all the "hims" in their family.) But so far, the most hilarious thing he's said was on the day Super Girl came home from the hospital. 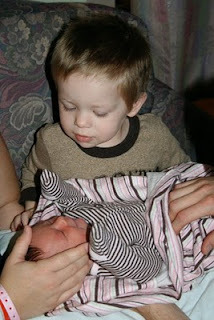 He was very interested in everything about it - he wanted to be sure in his sweet little way that his baby sister was taken care of. When she got hungry, Rock Star sat down to nurse her and as he watched, his expression turned from concern that the baby was hungry to near horror and shaking his head he said, "We don't eat that!!" We can't wait to discover her other super powers. If sweetness is a super power, she already has that one mastered! Starbucks has this promotion going. If you purchase a bag of Starbucks coffee at the grocery store, use it up and then bring the empty bag to Starbucks they will give you a free tall brewed coffee. For all you light weights out there a short, tall or grande may sound appealing but not to those of us who are heavy drinkers. We go straight for the Venti. So, yesterday I took two of my empty bags to the Starbucks inside my Target. I presented both bags and asked for one Venti in leui of two talls. Now, if you are doing your math you notice that I was actually asking for less coffee as 2 talls would yield 24oz and a Venti is 20oz. Not to mention I was conserving on cups as well. Only one cup to throw away versus two. I was willing to sacrifice those extra 4oz for one cup to carry. The lady behind the counter told me that my bags were good for two tall coffees only. Not one Venti. She said that any other Starbucks wouldn't allow that either. I looked at her and said, "Well, there is just one of me and it would be sort of difficult for me to shop with two coffees in my hands and a cart to push with two pre-schoolers inside. Not to mention that I'm actually getting less coffee than I would with two talls." She sort of huffed and then told me she would do it just this once. Our little Bubba turned 4 this past week. We LOVE birthday parties around here. It is so much fun to celebrate these precious lives God has given us. I started asking Bubba several weeks before the big day what kind of party he wanted to have. He settled on a Toy Story party. I asked multiple times to be sure that my pre-schooler really meant what he was saying. 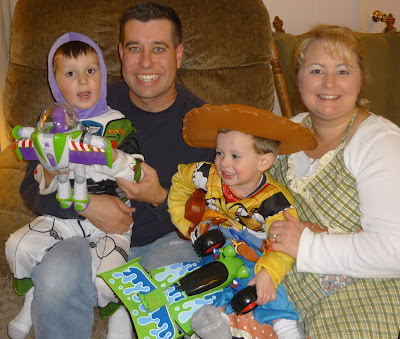 Not only did he want to have a Toy Story party but he also wanted to be "Woody." So, I went to work. I found a Woody costume right after Halloween. Then I found a Buzz costume on ebay for his little brother to wear at the party. The party planning continued as I scoured the internet for Toy Story paraphernalia. I ordered the dvd of Toy Story 2. I bought cupcake toppers. I purchased toy story stickers, stamps, fruit snacks, etc. for the cousin's treat bags. I even found a Buzz Lightyear party pack and ordered it. I finished up my shopping with Toy Story PJs for both the boys to wear to bed after our rockin' party. I was ready to roll! Then Bub and Southern Gentleman had their birthday party. It was a Star Wars theme. My children have never seen Star Wars. However, the influence of an older, cooler cousin took over. All the sudden Bubba was saying, "Mom, I don't want Toy Story. I want Star Wars!" Hmmm..."maybe next year" I would say. This continued for a while. Then for some reason he started asking for a Batman party. I can't figure out where that one came from. He just kept saying that he didn't want Toy Story anymore. I was seriously messed up in my business. The Toy Story invitations were out. I had planned and purchased all things Toy Story. I had recommended Toy Story toys to the grandparents. I was in too deep! As his birthday approached I made one last ditch effort. EJ and I gave him his Toy Story 2 movie. He was pumped! He and Wubba watched that movie several times before the party. By then, he was rip roaring ready to go. With only one problem. He wanted to be Buzz now, not Woody. I could deal with that. On party night we stuffed Bubba into the Buzz costume I bought for his little brother. Then rolled up the sleeves and pants on Wubba's Woody costume that I bought for Bubba. Hey, a Buzz Lightyear wedgie is a small price to pay for birthday bliss! Bubba, we love you "TO INFINITY AND BEYOND!" I had some troublesome abdominal pain this week. Not sure exactly what was causing it. The Dr. wanted to be sure it wasn't serious so she ordered a CT scan. I drank some nasty "smoothie" that was supposed to provide contrast for the pictures. I figured that was all I would have to do. When they got me on the table, the nurse informed me that she would be starting an IV. Oh Junk. I didn't realize an IV was involved. She told me that the liquid placed in the IV would also provide contrast for the photos. Nurse, "Now, as the contrast enters your body you are going to feel warmth and perhaps a copper taste in your mouth. You will also feel like you are peeing your pants. Don't worry, you aren't actually peeing your pants. It's just the sensation you will feel." The nurse then repeats herself. Me, "Thanks for the heads up on that one." Good heavens, she was right! You totally feel like you just peed your pants. I wanted to laugh out loud but I figured I better behave myself so I could get this test over with. Cousin Eddie: "They had to replace my metal plate with a plastic one. Every time Catherine would rev up the microwave, I'd "pee" my pants and forget who I was for about half an hour." Rock Star warned me about timing my reading of Farm Chick’s account of Super Girl’s birth so I could manage the emotion that would certainly come with it - she was right. I snuck my peek while Pop, Rock Star, PhoJo and the super heroes were in the living room...but Rock Star caught me at the computer with a big lump in my throat and eyes brimming with tears. If God blesses us with a hundred grandchildren nothing could ever diminish the miracle of each birth nor the swelling of my heart with gratitude, praise, and grandmotherly pride. It’s been 20 months since Ladybug came along and the excitement of another granddaughter was certainly welcomed – not just by Pop and me but by our whole family…welcome Super Girl! Welcome into a big, loud, and loving family who could hardly wait for your arrival! Nothing I have ever heard, done, said, or thought has prepared me for how incredibly blessed I feel by our children and grandchildren. To be allowed the privilege of being present and involved in the lives of each of our nine (can you believe it?) grandchildren is nothing that I take for granted. To see our daughters as great friends of one another and allies in this journey we call life has significance way beyond anything I ever thought to ask God for. 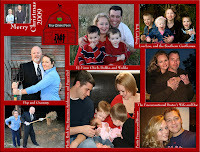 Nothing in my life has been as wonderful as sharing this time in life with Pop and with our family. All I can say is that I am so grateful to God for daughters and sons (in-laws – a term for clarification purposes only as I consider them my sons) who walk with the Lord and who are quick to give Him the glory and the praise for the gifts He has given us. To share this journey with the man of my dreams is a bonus I don't deserve. I love you, Pop - here's to livin' the dream. Thanks for letting me live it with you. I asked God for a safe, quick delivery for Rock Star. I asked for a healthy baby. 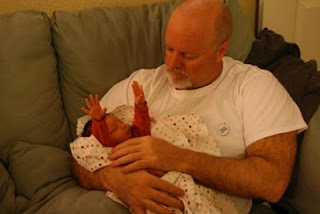 I praised Him for her life! I was thinking about how much we already love her. Do you know that God's word says that he knit her together in her mother's womb? Knit her together. He formed her. Conception, pregnancy and birth are not an every day hum drum experience. Life is a MIRACLE every single time. He ordained Super Girl's life. He wrote her days in His book before she even took a single breath. 13 For you created my inmost being; you knit me together in my mother's womb. 14 I praise you because I am fearfully and wonderfully made; your works are wonderful, I know that full well. 15 My frame was not hidden from you when I was made in the secret place. When I was woven together in the depths of the earth, 16 your eyes saw my unformed body. All the days ordained for me were written in your book before one of them came to be. When I got to the hospital it was 10:30am. Rock Star and PhoJo had been there since 6am. Grammy and Aunt DW were in the waiting room (they have one within her birthing room). Grammy told me that they were about to break her water. I told the girls I was a mess! I was already fighting back the tears and the baby wasn't even here yet. I told them that I had been thinking about God's promise to be faithful to a thousand generations to those who love Him and keep His commandments. Grammy shared that that verse was very important during a time when she fasted and prayed for our family. I can understand why! It appeared that her contractions were coming one on top of the other pretty quickly. By 11ish or so they were cranking up the meds in her epidural to try to catch up to the pain. By 11:30am it was pretty obvious that this baby was going to make her entrance very soon! I stepped out of the room and called Pop on my cell phone. He was leaving work and headed directly to the hospital. I stepped back in the room in time to join in as Grammy prayed over Rock Star. I noticed out of the corner of my eye that her nurse had gently laid her hand on Rock Star's leg and joined us in prayer. PhoJo, Grammy, DW and I were all near Rock Star as she was laboring hard. At one point I realized that her legs were shaking. I caught both DW and Grammy's eyes. We know what this means. Transition. Rock Star was amazing through this stage of labor. So calm and controlled. At one point I heard DW gently touch her head and say, "Don't be afraid, you can do this." Around 11:37am or so Pop came through the door. I motioned for him to come on in and see her before they broke down the bed and prepared for the birth. He quickly made his way in to encourage her. 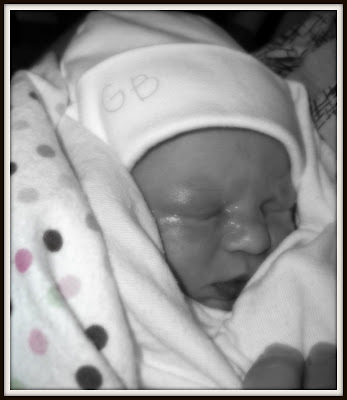 Then he headed to the waiting room within the birthing suite. DW grabbed the video camera. I grabbed the camera. The medical team all got into place. PhoJo was on one side of Rock Star and Grammy on the other. The Dr. asked Rock Star if she could push through the next contraction. Rock Star said yes with a look of sheer determination on her face. A few more contractions and Super Girl was out at 11:45am. Rock Star was AMAZING. She looked like a runner sprinting through the finish line of a marathon. I'll tell you what, she is aptly nicknamed. That girl is a ROCK STAR! Super Girl is perfection, pure perfection. After Pretty Princess finished her final she rushed to the hospital to meet her newest little niece. (Stinkin' finals!) I waited until Pretty Princess made it before I left. I wanted to take a photo of the Four Sisters in that moment. These women are so precious. What an amazingly proud moment as we all gathered around Rock Star and baby Super Girl. We are sisters and best friends. We are so privileged to walk through this life together. 7lbs 6oz and 19 1/2 inches of pure perfection. You know how sometimes you get a gift and it just tickles you. Makes you grin from ear to ear. My dear sweet "goddess" girls always hit it out of the park when it comes to gifts. It's the beautiful thing about knowing someone for so long. You just feel it in your bones when you find the right gift for them. Let me introduce C.C. short for Coffee Cup. This little beauty was a gift from Miss Independent. I cannot tell you how much joy I get from drinking my morning coffee out of this pink, high heeled piece of art. EJ said, "I never would have thought to get you that." Of course he wouldn't. He is a man. Men have no need for fru fru girly gifts. Look at her darling black pumps. I mean honestly, who thinks up this stuff? I am starting to realize that perhaps I have a bit of an unhealthy obsession with this little lady. The other day I spilled some coffee over the side and felt genuinely upset that her shoes were dirty. Don't be too quick to judge. You all have your issues too. I will kick you in the head to get out of here! This weekend I had the privilege of attending a conference with about half of the ladies from my women's bible study group. We went on a little road trip, stayed in a great hotel, worshiped the Lord, learned from His word, ate some delicious food and had some big laughs. As you all know, we are waiting for our newest niece to be born. This sweet little girl is on my mind constantly (as well as her momma). I knew that my trip this weekend could be risky. If Rock Star went into labor I would have to find my way 3 hours back home. I kept my cell phone on me at all times in case I got "the call." On Friday night, we were sitting in our seats listening to Kay Arthur teach out of Hebrews. You have to understand that I was sitting at this conference with around 9,000 of my closest friends. It was a huge group of women. We were in stadium seating that you could hardly get in and out of. You know the kind...your knees are almost touching the back of some other lady's head. Low and behold, my cell phone rings. I look on the caller ID. THIS IS IT! It's from Rock Star. My mind starts to race. I look to my left, women. I look to my right, more women. How am I going to get out of here fast? Then I look above me. There is no one in the seat above me or the seat above that. If I can scale those two seats I can get out. I stepped on my chair with my cowboy boot and whipped my other leg up to get over the back of the seat. I practiced that move two more times and I was out! I don't think I kicked anyone in the head but I can't be certain. It's a matter of life people. I'm not missing my niece entering this world! "Sis?" I say, as I catch my breath. Rock Star, "I have the worst timing!" Me, "What? Are you in labor?" Rock Star, "No, I totally forgot you were going to be at that conference. I'm so sorry!" Me, "Well, I needed a break anyway. What's up?" Rock Star, PhoJo and the super heroes are anxiously awaiting the birth of little miss Super Girl. We haven't had a new born baby in this family since Ladybug was born over a year and a half ago. For a period of time were having babies ever 6 months or so. It was a whirlwind of babies and it was a lot of fun! If you are keeping track Super Girl will make girl #3 and we already have 6 boys. Looks like the girls are still out numbered. Maybe this is God's way of making things a little more even. After all, Pop was outnumbered by women for a very long time! Super Girl, you are so loved! We all can't wait to meet you! On a recent car ride back to the farm, I laid back my boys' seats. We have built in car seats in our minivan and they rock for car naps. The problem...my boys hate it when I lay back their seats because they know I want them to rest. As we all know it is against some kind of "childhood code" to actually admit that you need a nap. I explained to a hysterical Bubba that he just needed to rest for a while as I drove us home. The weeping a wailing continued for what seemed like an eternity. Then Bubba regained his composure and looked at his brother. "We're not going to sleep, are we Wubba?!?!" In his most obstinate voice. I felt like the song "We're not gonna take it" was playing in the background. Isn't it a little early for them to form a rebellion and attempt to oust me? Grandma, I couldn't figure out what to do with these ornaments. I wanted them displayed prominently this Christmas. Your gift is perfect. Thank you. I love you.